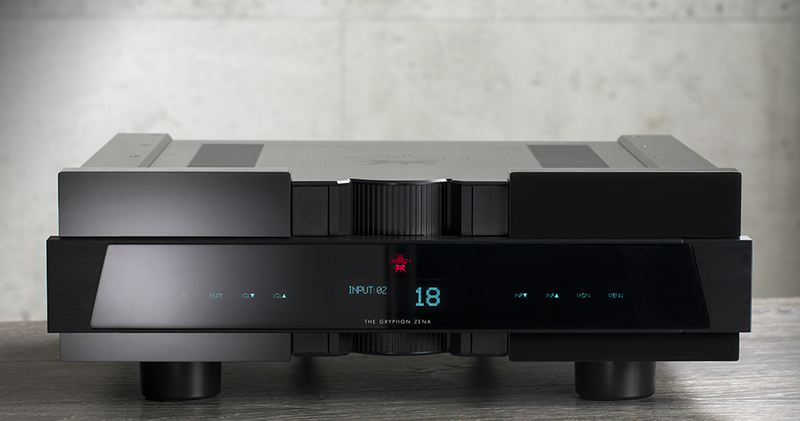 Fixed-level AV throughput, balanced or unbalanced, for uncompromising integration with surround preamplifier. Now, in its long-awaited debut, the Gryphon Zena true dual mono preamplifier harvests the fruit of significant advances made in the evolution of the state of the art Gryphon Mirage. Among the numerous component upgrades of the Zena is an ultra-precise array of SMD metal-foil resistors and hermetically sealed, gold-plated, ultra-low capacitance Pickering reed relays. Equally crucial, the Zena volume attenuator is fully balanced, with no conversion of the signal from the XLR inputs to single-ended prior to attenuation, as was the case with the Athena. This simplification of the Zena signal path represents a major step forward in sound quality. The Zena employs shunt regulators in the voltage supplies to the active circuits of the volume attenuator, in order to ensure a DC supply with ultra-low output impedance across a wide frequency band and optimal noise suppression. 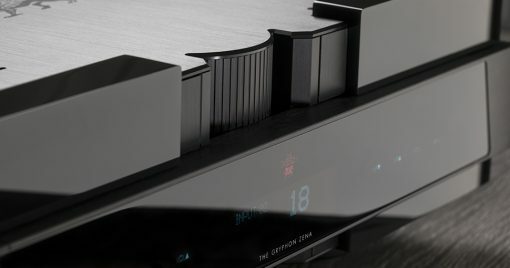 To allow use in a surround system without compromising the stereo performance of the Gryphon Zena, the preamp now includes an expanded AV throughput function, so that either Input 2 (XLR) or input 3 (phono) can be configured as a 0 dB AV throughput for ideal integration with the owner’s multi-channel installation. The Zena employs Wima polypropylene capacitors across the electrolytic capacitors in series regulated power supplies, as well as in parallel across Aluminium Organic Polymer capacitors in the shunt-regulated power supplies of the volume attenuator circuit. Schottky barrier diodes with low Von voltage are used in the analogue power supplies. With no internal wiring, the only cabled exceptions are a short ground lead, display ribbons and AC power wiring mounted in a shielded channel from the rear IEC socket to the power switch to minimise 50/60 Hz interference. 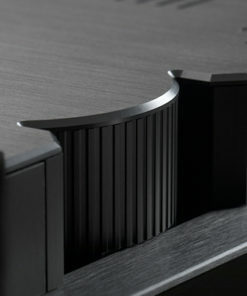 Like the top of the range Gryphon Pandora preamplifier, the Zena eliminates tone controls, balance knobs, polarity inversion, headphone connections, mono switches and other superfluous circuitry to reduce interchannel and signal path coloration to an absolute minimum for the ultimate in beat fidelity, known to the British audiophile as PRaT, more politely referred to as Pace, Rhythm and Timing. 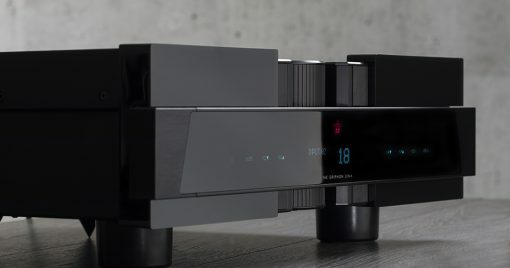 Flawlessly executed minimalist Scandinavian industrial design in various shades of black combines with a stylish user interface and all the functionality any serious 21st century music lover will ever desire. The Zena also offers 12V DC link input and output for enhanced system control of system power on and off. 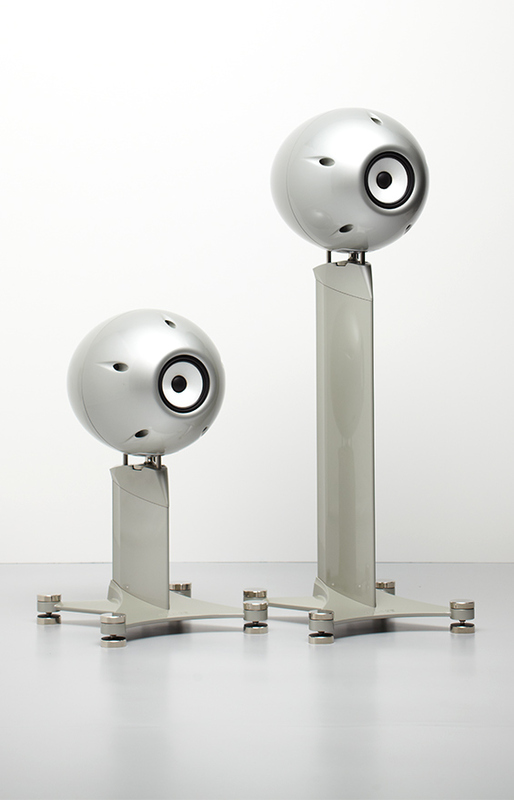 For ideal suppression of vibration and resonance, the substantial Zena chassis rests on proprietary cylindrical feet in front and two pointed rear cones. From the minimalist fascia, setup is controlled through a menu, displayed across a dimmable graphical green/blue vacuum fluorescent touch-sensitive panel with easy, responsive operation. 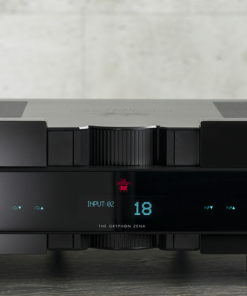 The range of microprocessor controlled, fully adjustable menu items include input naming with up to 8 characters, maximum level, start level, input level trim up to 8dB, AV throughput, display brightness (100%, 75%, 50%, 25%, Off), default restoration and Gryphon Green Bias. 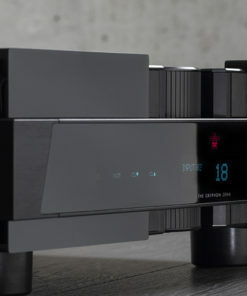 When connected via Gryphon’s proprietary Green Bias Link to a Gryphon power amplifier with Green Bias function, the Gryphon Zena preamp can control available Class A output, reducing power consumption and running the amp slightly cooler for periods of less critical listening. 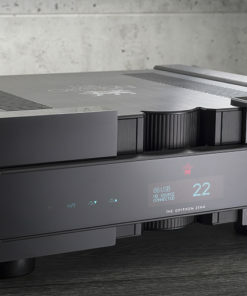 This feature adjusts the amplifier bias in relation to the preamplifier volume control setting for exactly the right amount of Class A power on demand as needed with massive instantaneous power reserves ready and waiting. No slave to convention, the Gryphon Zena remote control wand is a design exercise in simple elegance, a long aluminium box with square cross section in black satin. A built-in stand at one end lifts and tilts the remote to face the user. 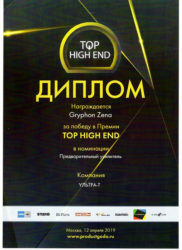 At the other end is the Gryphon logo in white. The quirky, but practical, device with responsive aluminium buttons is a pleasure to use. The Gryphon Zena is the first Gryphon preamplifier to offer the option of installing either a phonostage or DAC module at time of original purchase or at a later date. 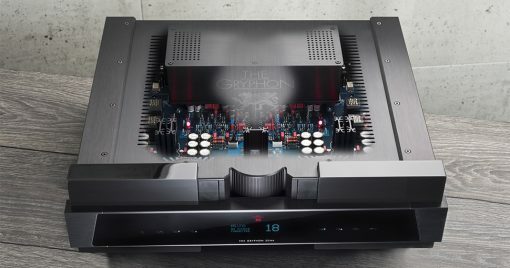 If your system consists of both analogue and digital sources, the DAC module can be installed and the Gryphon Sonett phonostage can be purchased as a stand-alone addition. 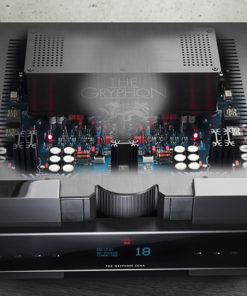 Now, in an ambitious endeavour to bring a major portion of its performance to a more affordable price point, Gryphon offers the PS2 Phonostage in a modular form for optional installation in the Gryphon Zena or a Diablo integrated amplifier, as well as in a stand-alone Sonett version with independent dual mono power supply, the latest circuit topologies, low-noise component breakthroughs and power supply innovations. The Gryphon Sonett is a fully discrete, DC coupled design employing exclusively polypropylene capacitors for precision RIAA correction. 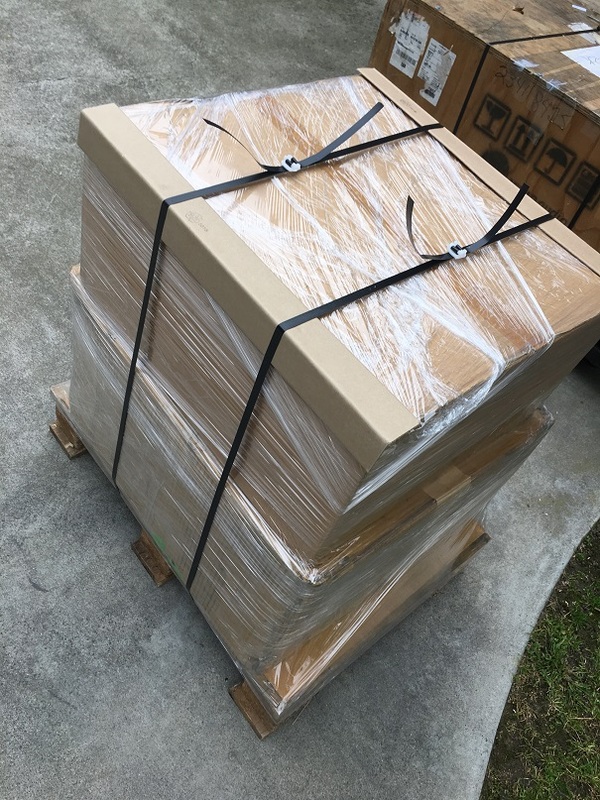 Rear panel switches offer multiple options for selection of the desired MC load (10, 20, 80.6, 100, 200 or 402 Ω). Multiple load options can be combined in parallel for even greater flexibility. For instance, 80.6 Ω can be activated together with 100 Ω to achieve a load of 45 Ω. The module includes asynchronous USB, AES/EBU, optical, and dual S/PDIF coaxial connections. The USB input accepts signals of resolutions up to 32-bit/384kHz PCM and DSD512; the remaining inputs are limited to 24/192 PCM signals. 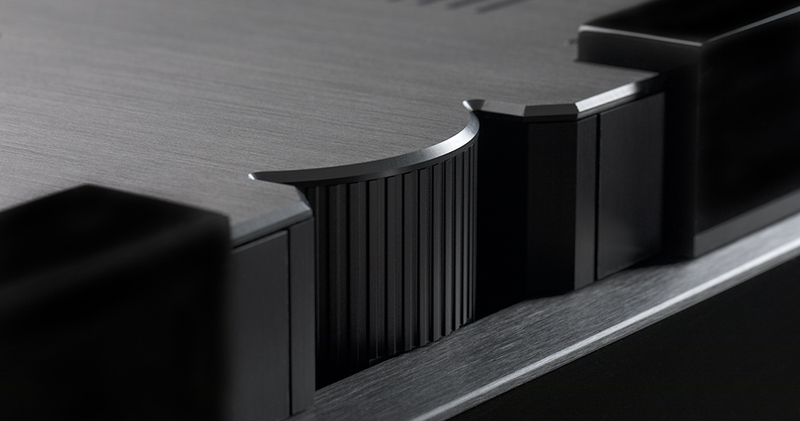 Gryphon’s DAC module permits the activation of selectable PCM and DSD filters via the preamplifier menu system. 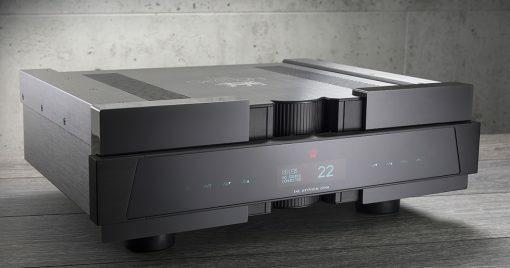 Slow roll-off (short group delay) and sharp roll-off (long group delay) digital filters are available on the PCM side, while for DSD a first-order, analogue filter can be bypassed or set at 50, 60, or 70 kHz (50 kHz is the default). The Gryphon Zena Preamplifier fuses incisiveness, neutrality and utter transparency enabling it to reveal any change in ancillary equipment anywhere in the signal path. 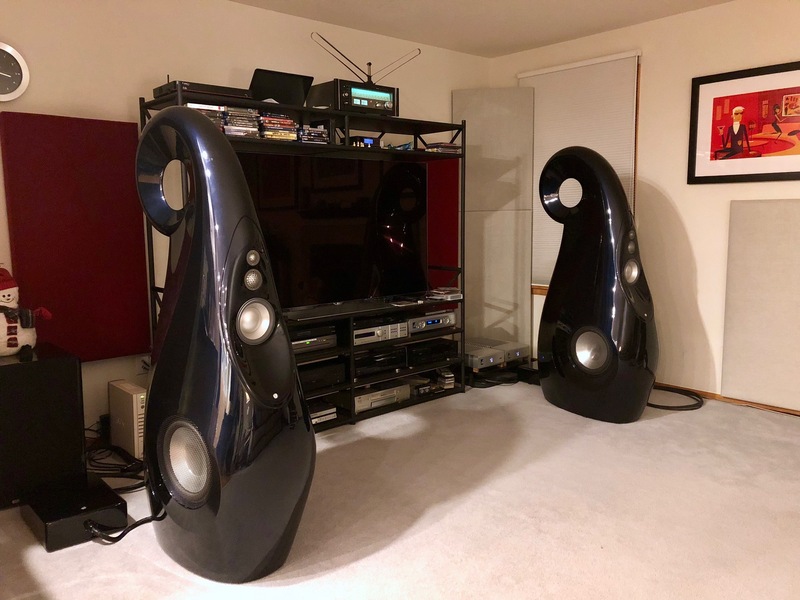 Instrumental and vocal placement in all three dimensions is stunning, with distinct illumination of even the most distant corners of the soundstage. Polished harmonic brilliance and weight, sharp image focus, powerful ambient recovery and realistic transient attack are among the many exceptional benefits of the next level design efforts that Gryphon’s engineers have applied in the creation of the Gryphon Zena preamplifier.